I have to thank the Marvel movies for a lot of things–like my Captain America shield pillow, my Iron Man socks, my Spider-Man poster, my Hulk thumb-wrestler. Ahem. Where was I? 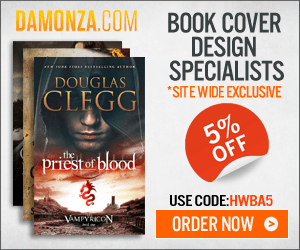 Oh, yes, talking about being a writer, not a fan-girl. One other, slightly more important thing for which I have to thank the Marvel movies is the light bulb that went off in my head while sitting in the dark theater, center row, center seat, last April when watching Captain America: The Winter Soldier. 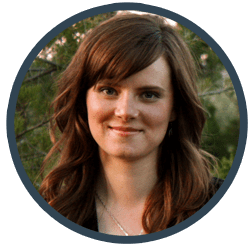 It was a light bulb that did a fine job of illuminating the sticky question of how to shift your protagonist from reaction in the first half of your story to action in the second half–using your story’s Midpoint. And for that, let us return to our regularly scheduled Marvel example. So there I was, sitting in the theater, licking popcorn salt off my lips, immersed in Winter Soldier. Story technique was actually the farthest thing from my mind at that point–but then something happened. The story’s Midpoint happened, and right before my eyes, I actually saw the protagonist’s subtle mental shift from reaction to action. The protagonist is going to spend that first half of the story feeling pretty off-balance. He doesn’t completely understand what’s going on, why it’s happening, or why it’s getting in the way of his own personal goals. He may not even completely understand what it is he wants (although he definitely wants something). 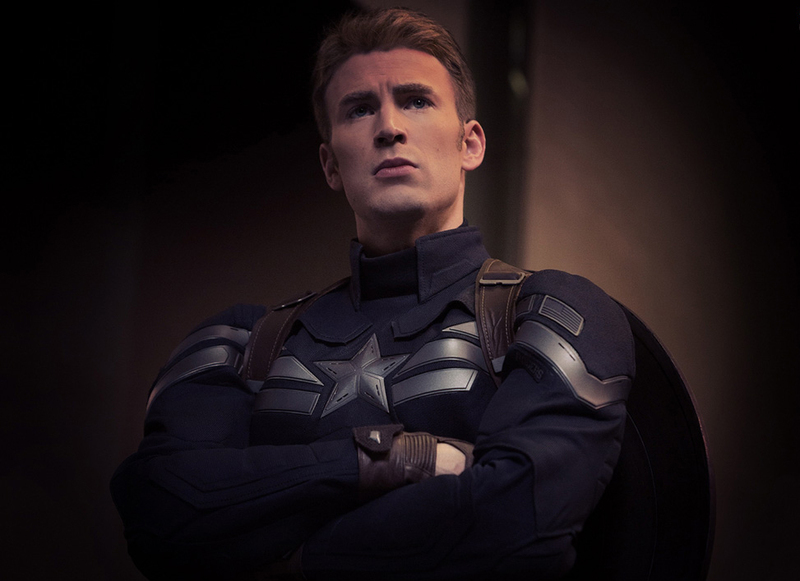 If you’re Steve Rogers, aka Captain America, you want to protect the values you believe in and use your rather elite skill set in a meaningful way. You don’t want to be a stooge for a home-brewed Commie organization. You know bad things are going down in SHIELD, but you don’t know why or who’s behind them. You have no idea who to trust, especially after you’re branded a fugitive and have to go on the run. When a character is in his confused reaction period, he’s going to spend most of his time with a concerned and wrinkled forehead. He’s going to walk around looking just a bit baffled as he struggles to keep up with the conflict and sort things out. Then the Midpoint happens–and, along with it, the Moment of Truth. This is where everything changes for the protagonist. This all-important turning point in the Second Act provides him with a new understanding of the conflict, the antagonistic force, and his own goals in relation to them. Suddenly, he gets it. If you’re Cap, then you suddenly learn from an old enemy (reincarnated as a super-computer) that the all-American organization you’ve been working for is actually the evil Hydra group you started out fighting way back in World War II. It’s not a happy revelation. But suddenly everything starts to make way more sense. At the Moment of Truth, a new light suddenly dawns in the protagonist’s eyes. You can practically see the gears whirring and clicking in his head. All the clues he’s picked up in the first half suddenly fall into place. His eyes might get wide, his mouth might fall open. He’s shocked, sure, but he’s not bewildered anymore. After the Midpoint, the character is suddenly armed with enough information to allow him to start fighting back. He doesn’t have to continue merely shielding himself from the antagonistic force’s assault. Now, he understands how to start picking up some of those rocks and start chucking them back. He will still probably be at a significant disadvantage in the conflict. But thanks to the Moment of Truth, he now has enough inside information to see the chink in his opponent’s armor–and take advantage of it. If you’re Cap, then you may “look pretty happy for a guy who found out he died for nothing.” A huge burden has been lifted from your shoulders because “you just like to know who you’re fighting.” And from there on, you do start fighting. You grab what you just learned and you put it to work by taking the battle directly to the antagonist’s doorstep. In the second half of the story, the protagonist is going to get his game face on. No more confusion, no more realization–just determination. He knows where he’s going and how to get what he wants (although he’s sure to run into further new developments), and nobody better get in his way. It was while watching Winter Soldier that I first realized the shift from reaction to action is actually visible in the protagonist’s face. This movie is an especially great example because it’s also obvious in its demonstration of the reactions and actions themselves: Cap spends the first half running away from the antagonists and the second half running toward them. Since then, I’ve spent the last year observing this phenomenon again and again in movie after movie. Take a look at some of your favorite movies (Marvel or not). Observe how the protagonist will be straining his brain to comprehend the conflict in the First Half. Watch the light dawn in his eyes at the Midpoint. And then take a look at how he shifts into determined and enlightened action in the second half. The exact same principle should hold true in your books. 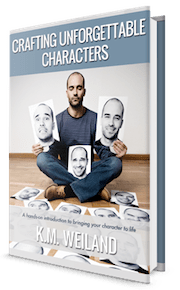 Obviously, the visual shift in your protagonist’s expression won’t be visible to readers, but they should be seeing the exact same attitudes in your character’s thoughts, dialogue, and action. As long as your story’s Midpoint is properly facilitating this all-important shift in the middle of your story, your conflict is sure to progress in a powerful and resonant way. Wordplayers, what do you think? 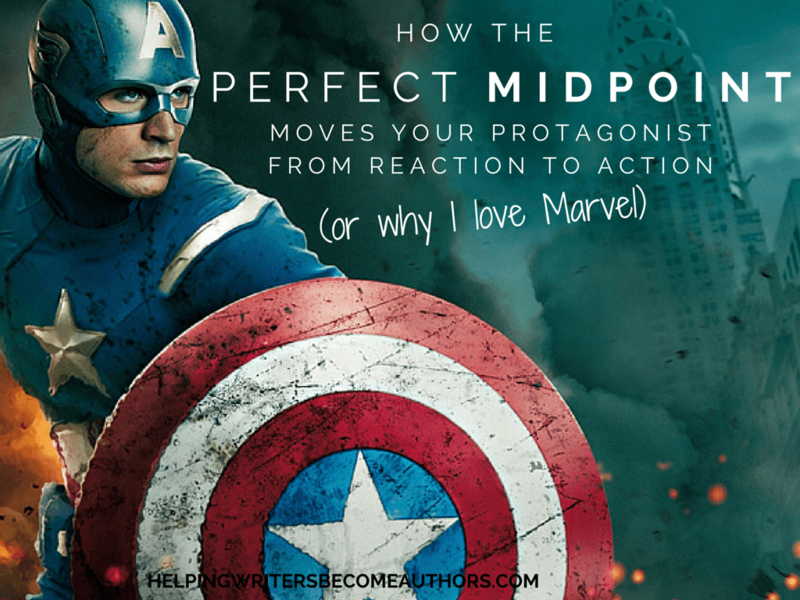 How does your protagonist’s attitude shift from reactive to active at your story’s Midpoint? Tell me in the comment section! This just made me realize that the Midpoint in my main novel might not be what I thought. I mean, there’s an obvious shift from reaction to action as far as the main plotline goes, not so much concerning any of the antagonists though. It’s more of an internal shift I suppose… Which I’m guessing, since i’m writing a character and plot driven story isn’t a bad thing? You always write the most informative posts about creating fiction, but this – based on my very biased, recently discovered love for Marvel, Captain America specifically – this is the best article you’ve ever written! It enlightens me and opens my eyes to my current WIP. Thank you. From one fangirl to another: thanks! 😉 Glad you enjoyed the post and found it useful! I LOVE this! The screencaps really bring it home. I’m always in awe of how the Marvel movies manage to tell stories that are engrossingly well-written, and often with a huge cast. I still need to spend more time dissecting every character introduction in the first Avengers movie… Brilliant stuff! I absolutely love how you use Winter Soldier as an example (*waves* Hello fellow fangirl!). And thank you for the movie stills. Haha. This has made me think about the stories that I’ve written. It would make editing much easier because at least now I know what to look out for.